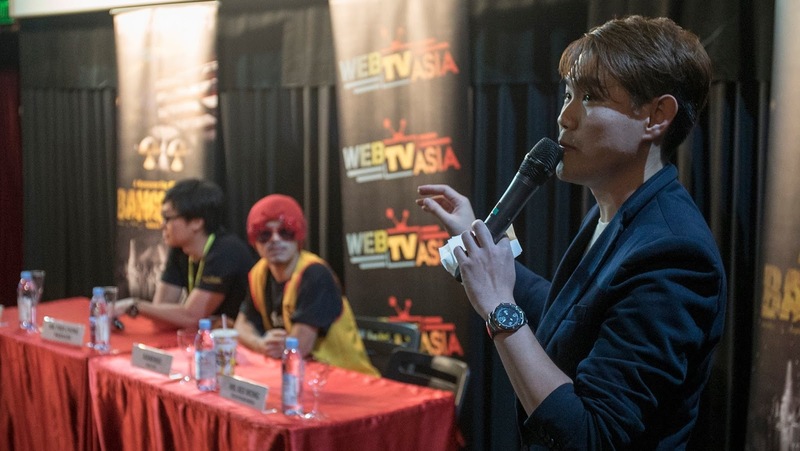 Namewee's loss in weight was noticeable when he was in town for SGIFF 2015 last December. It's been a rough ride for the Malaysian director, whose fourth film Banglasia, completed in 2013, has been banned in its country of origin since 2014. The action-comedy is set in an alternate reality where Malaysia comes under attack from the Luk Luk army. Harris (Nirab Hossain), a blue-collared Bangladeshi worker, emerges as the all-rounded hero in the film. Harris’ courage and generosity gains the friendship and admiration from his employer’s daughter, Siti (Atikah Suhaime), pro-Malaysian activist Han Guo Ren (Namewee), and Han Guo Ren’s demented grandmother (Lao Zha Bo). Transcending boundaries of race, age, and nationality, the motley crew comes together to resist the villains thrown its way. The film was made in the context of prevalent animosity towards Bangladeshi workers in Malaysian society after the 2013 elections, traced to the government's alleged use of these workers as phantom voters. According to Namewee, the figure of Harris was created as a reminder of the contributions of Bangladeshi workers to the country. I caught Banglasia at the SGIFF last December, in a screening that drew much laughter from the audience. Knowing that the film had struck sufficient caution in the Malaysian Film Censorship Board to warrant 31 cuts, I'd expected at first a film sharp in its criticism of Malaysian society and politics. So I was surprised at how lightly the film dealt with a host of socio-political issues, including xenophobia, racism, phantom voting, and corruption. 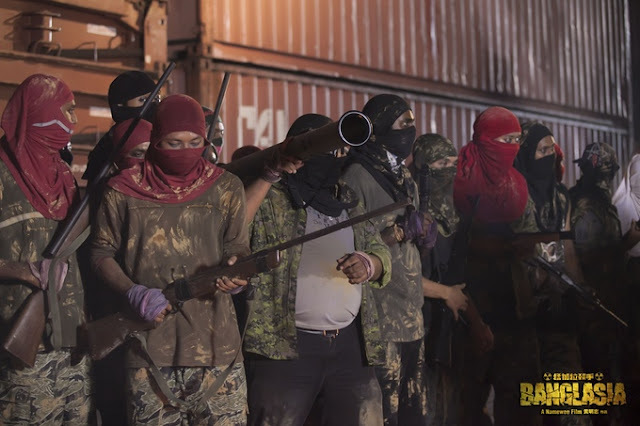 The film flirted with caricatures and conspiracy theories familiar to a Malaysian audience – the extent of its commentary resembling a year in review of people and events trending on Facebook. Censorship decisions against the film were thus doubly surprising, and testament to the Malaysian authorities’ flair for imagination. Made for a Chinese New Year crowd, the film would have been a great complement to the easy laughter and running commentary from friends and relatives gathered for the festive season. The gloom that’d settled over Malaysia after the 2013 elections (and which continues to thicken) might have been momentarily dispelled by Namewee’s attempt at verbalizing and poking fun at the many, many things that frustrate the average citizen. Unfortunately, Malaysians’ access to the film continue to be restricted. Outside of SGIFF 2015, the film has been screened at the Osaka Asian Film Festival 2015 and the New York Asian Film Festival 2015. 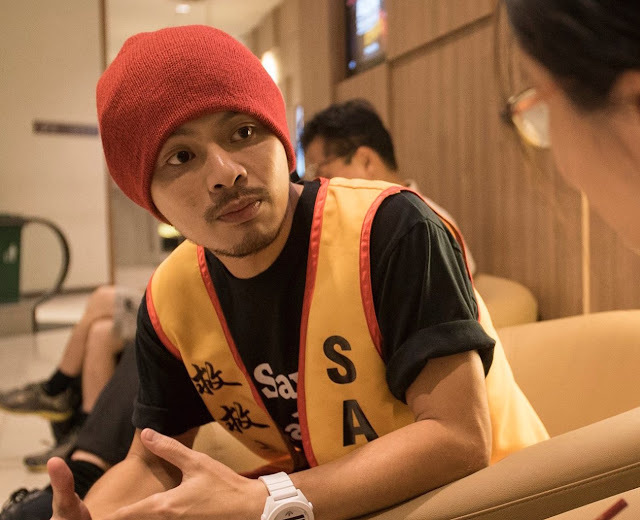 To complete the director's cut and secure funding for a global release of the film, Namewee and his team announced during SGIFF 2015 a 40-day global fundraising kickstarter campaign with a target for USD500,000. It was dubbed the most ambitious film crowdfunding project in Asia in terms of pledge amount. As of 19th January, the kickstarter fundraising has not met its target and has since closed. It is not clear what alternatives are available to the team. Stay tuned while we keep a lookout for the film's latest developments and how you can help! Tidbit: Namewee shared after the screening about his unusual method of casting for Banglasia. This involved walking into a 'Bangla' DVD shop in Malaysia and trying to find the DVDs in which the same faces popped up most frequently. He then asked the shopkeeper who they were, and contacted these actors after several rounds of shortlisting. What followed was flying to Bangladesh and meeting them face-to-face. Eventually, the team ended up choosing a lead guy touted as the Andy Lau (famous Hong Kong actor) equivalent of Bangladesh!